If you’re traveling by plane and wondering if you can bring your musical instrument(s) as carry-on, the U.S. Department of Transportation has issued its “final rule” on traveling with instruments. These guidelines were issued on January 5, 2015 so they’re probably the latest word (although you may want to contact the U.S. DOT to be sure–see contact info below). The guidelines were issued after a year of discussions with musicians and representatives of airlines and industry associations, as well as a review of the results of a member survey conducted by the American Federation of Musicians (AFM) identifying problem areas when traveling by air with instruments. The Department has a Web page that provides useful information on air travel with musical instruments, including the entire rules document, as well as a shorter “tips” document. Kick up your heels at Saturday’s Contra Dance. Relax while you watch our guest artists perform. Concerts held both Friday and Saturday nights. Jam Sessions for beginner through advanced players. We now officially have 501(c)(3) status! To make a tax deductible donation, please click on the following Donate button. Thanks! 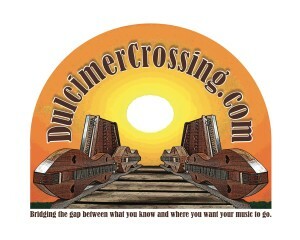 To Dulcimer Crossing for their kind donation enabling our registration assistance to qualified attendees. For our policies, see Policies: Refunds, Online Registration.